In a 2019 ​NBA free agent class that includes the likes of Kevin Durant and Kawhi Leonard​, Warriors deadeye ​Klay Thompson might not be the most lauded free agent. However, his decision will most certainly be one of the most compelling as his future could determine the continuation or end of Golden State's dynasty (if KD also leaves of course). 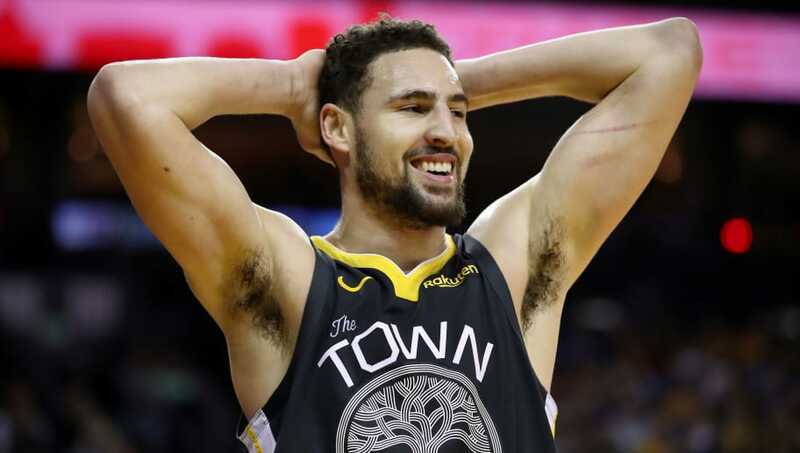 Well, Klay has reportedly revealed that he would like to stay with Dubs regardless if Durant leaves or not AND that he would like a max contract of roughly $190 million over five seasons. ​​So he wants to return to the Warriors. That's good for Golden State, right? Well, maybe not. If the Warriors decide they don’t feel like paying the luxury tax bill, the four-time All-Star could end up walking. Adrian Wojnarowski has already reported that ​Thompson would consider the Lakers if they land Anthony Davis. According to The Athletic, the Warriors currently have a $144 million payroll and owe over $68 million in luxury tax penalties because they are over the threshold of $123 million. Come summer, the Warriors might find themselves picking between two of the game's biggest stars.